Going through the interviewing process is an exciting and challenging time. Let’s look at a few practical interview questions and come up with a common formula for their answers. 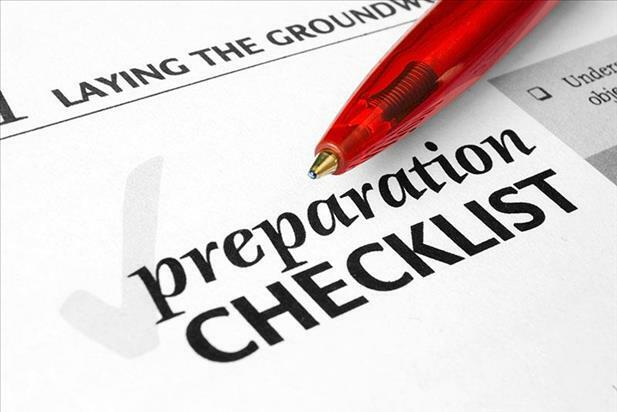 You will also find a check list below to help you prepare. When answering any interview question, use detailed responses and explain your examples using the STAR format: Situation, Task, Action, Resolution. What are your strengths? Why is this a strength? How does it apply to this position? What are your weaknesses? Why is this a weakness? What have you learned from it? How will you overcome it with this employer? List three adjectives or words that describe the areas you need to improve in the workplace. Why are these areas you need to improve? Why are you leaving your current position? Or, why have you been out of work? If you have been out of work, describe what you have done to keep current in your field. These items can include volunteering, memberships in associations, internships, or additional education in your field. What do you want to get from your next job and how can you contribute to this employer? Think less in terms of salary and benefits and more in terms of career growth. If you can connect with the employer and the company’s mission, you will be a hit. Give an example of a time when priorities frequently changed at work, and describe how you were able to adapt. Give an example of something you instituted at your last job that the employer will continue to do when you leave. Give an example of a time when you faced a conflict with a co-worker or customer. When answering this question, remember that the "devil is in the details", so stick to a direct example or incident. Describe your best manager and what made him or her a good boss? Know the name and titles of your interviewers. Be sure you can pronounce their names correctly. Study the company’s web site and review its news or press release web page. Note new products/services, major new hires, important business changes, and company values. Research the industry. Be prepared to thoughtfully discuss company/industry news and trends. Contact current employees of the company who are in a position to help you. Tell them you are applying, and send your resume, samples, etcetera to them. Review your resume. Bring copies of the resume and cover letter you applied with to the interview. If applicable, bring samples. Make sure they are not too dated, wrinkled, etc. [Example] Portfolio of accomplishments, marketing plan, project list, charts, etc. Practice your elevator pitch. If you need help creating an elevator pitch, contact your coach or review the sheet on your dashboard that describes how to write one. Have a sheet of references ready to hand out if need be. Remember it’s an employer’s market so it is best not to ask about salary and benefits unless the employer starts that conversation. Better questions to ask are ones that help you connect with the employer or find out more about the company’s mission and initiatives. Asking the employer the right questions can win big points for you! Why is this position open? Is this a newly created position? Or, what type of person filled this position before me? What is the day-to-day schedule like for someone in this position? What projects would I be working on? How does this company evaluate success, and how often is feedback given to employees? What type of company culture do you have? What are the greatest strengths of the department I would be working in?